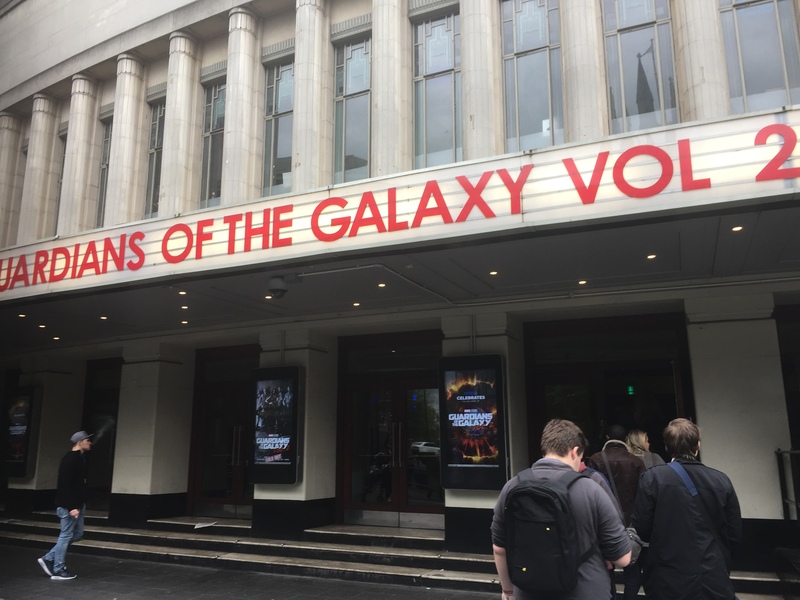 The Hammersmith Apollo has played host to all manners of rock royalty over the last 70 years, from Buddy Holly and The Beatles to David Bowie and Queen, and in hindsight it’s an inspired choice to launch Guardians of the Galaxy Vol. 2 in London and Europe. Pushing aside the notion of an exclusive, celebrity-dominated red carpet event much in the same way as the Guardians films throw out all the conventions audiences have come to expect from space operas, and even Marvel films, the Apollo opened its doors to hundreds of fans who were lucky enough to be among the first to see director James Gunn’s follow-up to the critically-acclaimed 2014 intergalactic adventure. 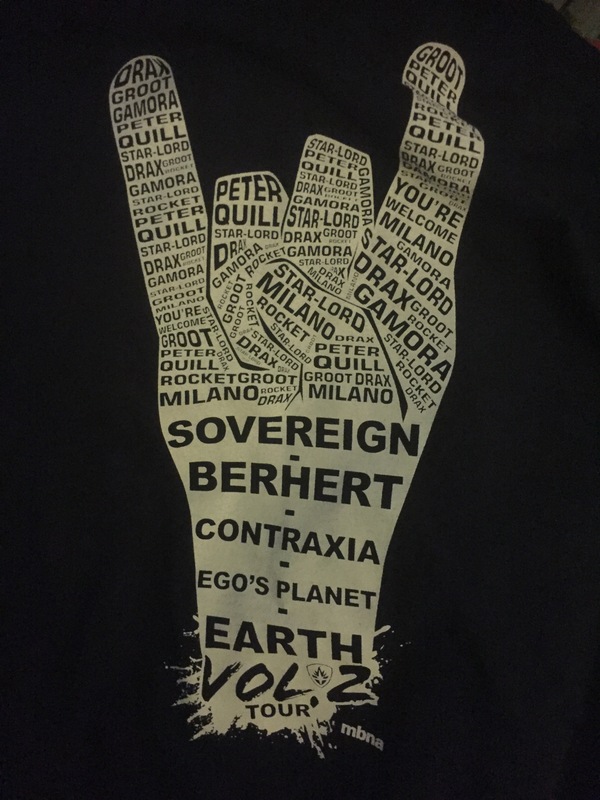 The night itself played out like a rock concert, with exclusive merchandise available in the foyer emblazoned with ‘tour dates’ naming planets and locations from the new film, including Sovereign, Berhert, Contraxia, Ego’s Planet, and finally Earth. 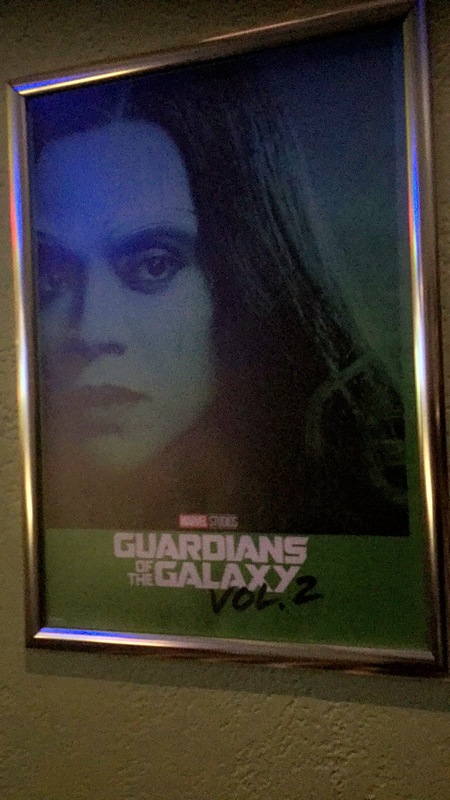 Individual portraits of the Guardians adorned every wall, and colour-changing lights throughout the venue reflected the crazy aesthetic of the films. 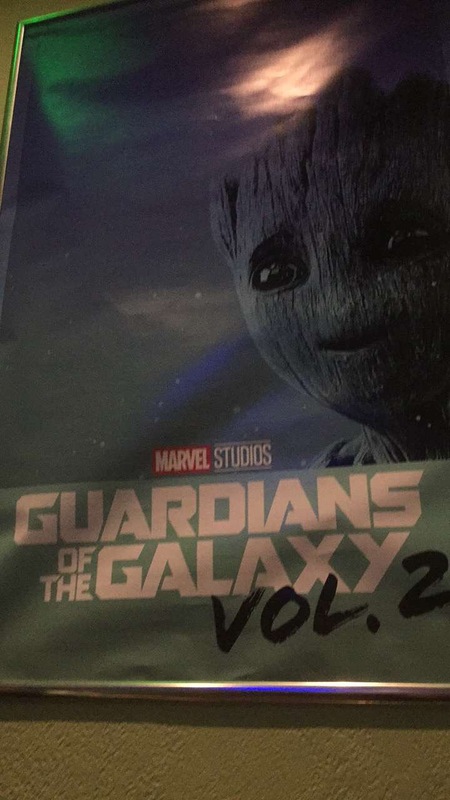 A green-screen photo booth allowed fans to have their picture taken with the eclectic Guardians, serving as their own personal ‘album cover’ for the new Awesome Mix Vol. 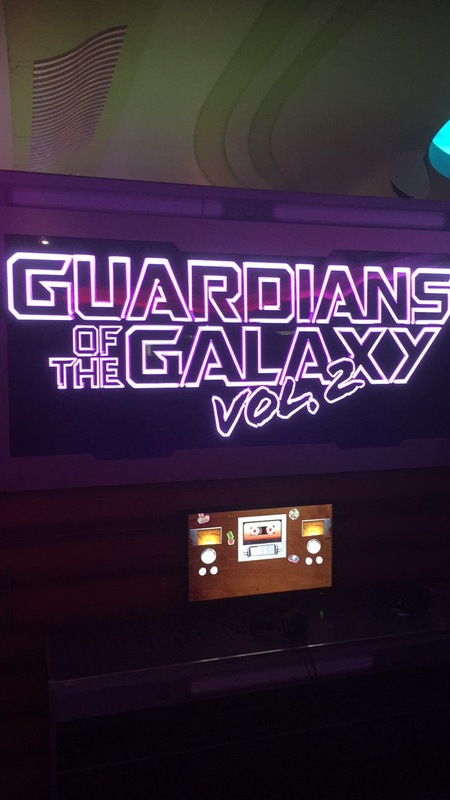 2 (a mixtape gifted to Peter Quill by his mother, featuring a host of classic tracks to soundtrack the adventures of Star-Lord and his crew). Once seated, DJs and dancers warmed up the crowd with a brilliant laser show accompanied by jazzy remixes of Led Zeppelin’s ‘Whole Lotta Love’, Blue Swede’s ‘Hooked On A Feeling’, and Elton John’s ‘Rocket Man’, among others that would probably get some serious playtime in Peter Quill’s Walkman. 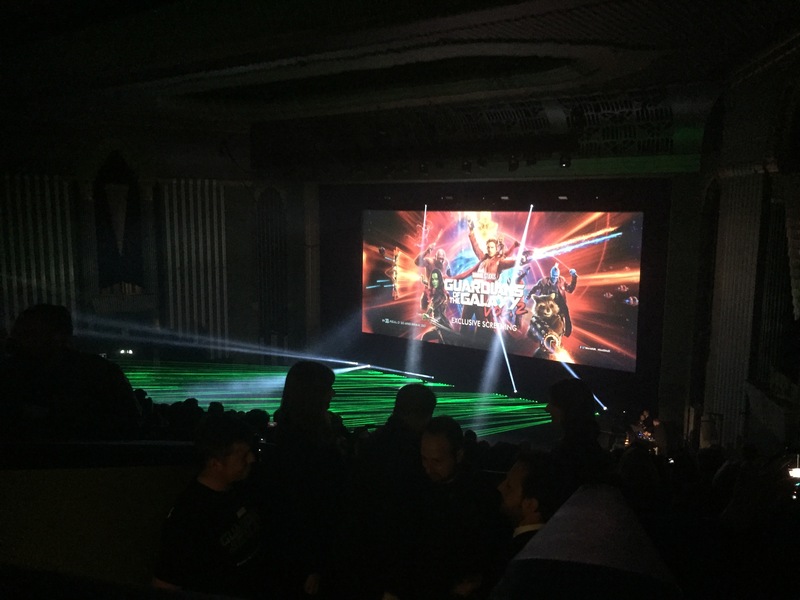 The music eventually gave way to an ovation for director James Gunn, seriously impressed with the auditorium’s dance skills to the point of declaring this the best premiere he’d ever been to. 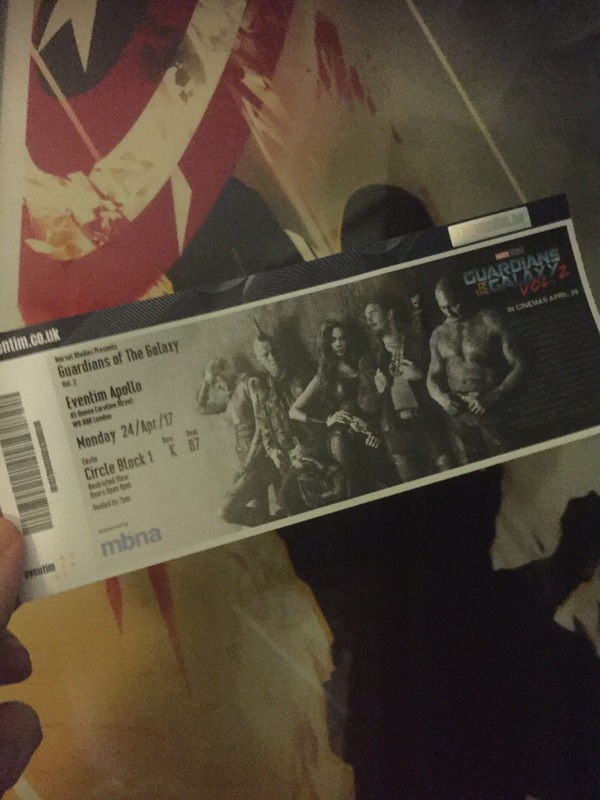 The majority of the film’s cast took to the stage to join him, including new Guardian Pom Klementieff (Mantis), cinema legend Kurt Russell (Ego), and returning Guardians Michael Rooker (Yondu), Zoe Saldana (Gamora), Karen Gillan (Nebula), Dave Bautista (Drax), and Chris Pratt (Peter Quill/Star-Lord). 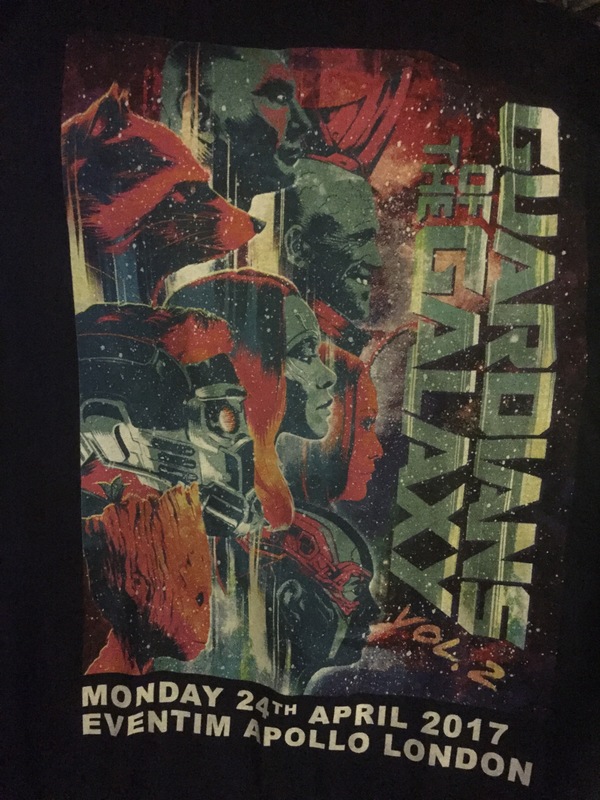 Thanking everyone for supporting his films, Gunn said that Guardians 2 was “a movie about outcasts, for outcasts, and I hope you get something out of it”. 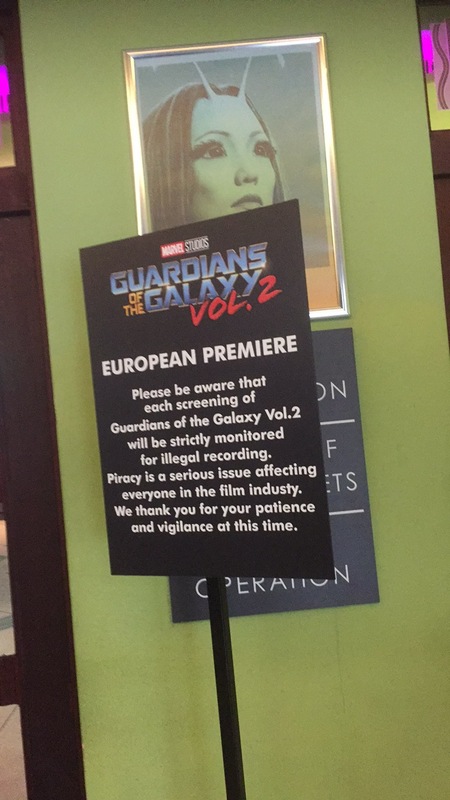 The massively communal experience suited the vibe of Guardians of the Galaxy Vol. 2 to a tee; darkness fell, and the consensus from the audience was undoubtedly absolute delight. 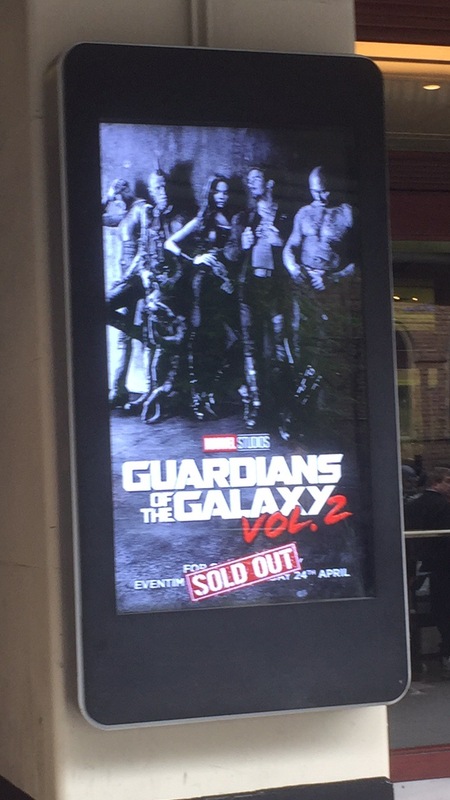 Raucous laughter dominated the venue for most of the film, save for a few gasps of shock, a few tears, and everyone fawning over Baby Groot. James Gunn and his bunch of loyal jackasses have knocked it out of the park again; you can read my full (relatively spoiler-free) review to find out more about my thoughts on it. Click away for a larger view of the following photos from the events.